Ubuntu 11.10 (Oneiric Ocelot) have a backup software installed by default – Deja Dup. Deja Dup is a simple, robust and automatic backup tool that will allow you to backup your files to local or remote location (such as Amazon S3), in a couple of clicks. Although, it doesn’t have any fancy graphical user interface like Apple’s Time Machine but it does its work (it supposed to do) very fast. Having a backup of all your important files means – you’re safe from most of the upcoming disasters! Right? surely from the technical disasters like hard disk failures. so backup is really good for the piece of mind, So you’re supposed to have a regular backup of all critical files. So in this post, you’re going to learn about some great backup softwares for Ubuntu (although it is expected to work smoothly on other Debian based Linux distributions). Some of the most popular open source backup apps are Deja Dup, Back In Time, Flyback, luckyBackup (based on rsync) etc. Deja Dup is one of the most popular backup application among Linux users – that’s the reason why it comes as a pre-installed application with Ubuntu 11.10. So it means that you got the backup application installed, you just need to configure it – like what files/directories you want to backup? 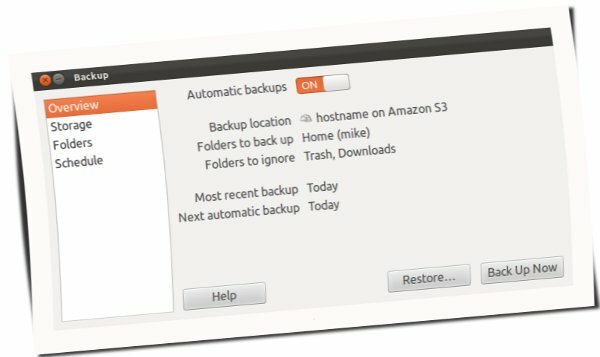 where do you want to backup all your data i.e locally or to a remote location such as Amazon Cloud, then select automatic backups (if you want) and finally click on Backup Now button to begin. So in short, I can say that – it’s the best backup software for Ubuntu. 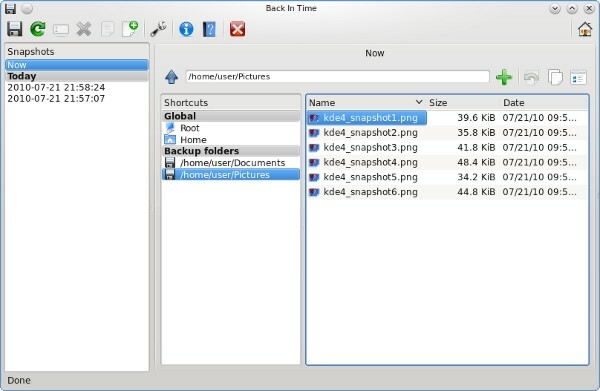 Back In Time is a simple and easy to use backup solution for Linux based OS such as Ubuntu, Fedora, OpenSuse, Linux Mint, etc. it creates backup of the specified files/directories in snapshots (like git – a version control system).